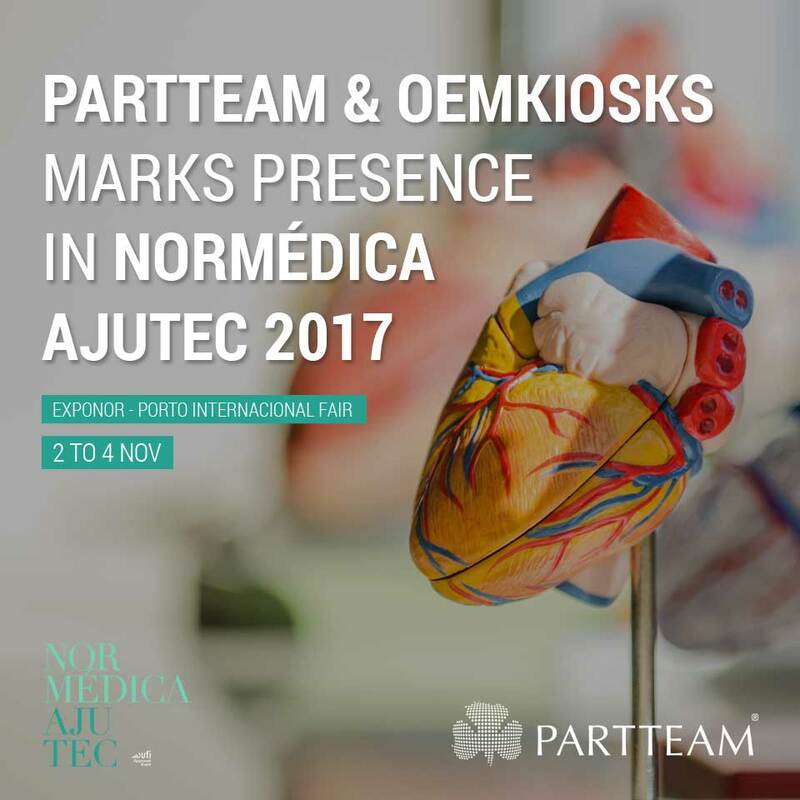 The company PARTTEAM & OEMKIOSKS will be present from November 2 to 4, at Exponor, at the NORMÉDICA AJUTEC 2017 - Forum and Exhibition of Medical Sciences and Health, Hospital Management, Technical Help, Mobility and Inclusion. 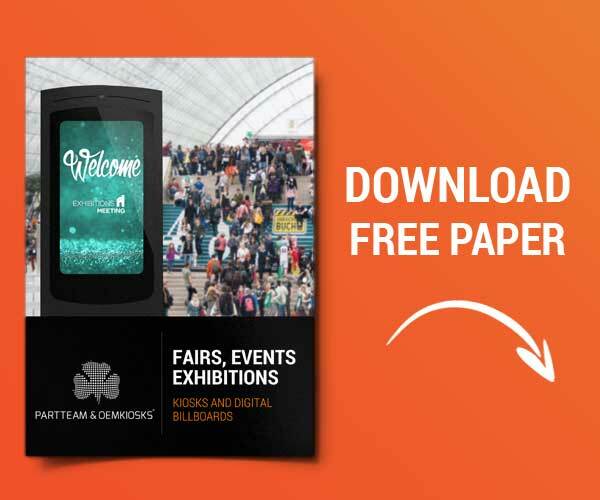 The event will be held at Exponor - Porto International Fair (Leça da Palmeira - Matosinhos) and will be attended by PARTTEAM & OEMKIOSKS, which will present some of its technological solutions: multimedia kiosks, digital mupis, queue management , digital signage, corporate tv, self-service equipment, interactive tables, etc. This exhibition aims to bring together new solutions, products and services destined to the universe of Health, Hospital Management and Technical Aids, aiming to present visitors and interested professionals and companies that supply goods and services in the sector. Sensitize the players of the Health and Pharmaceuticals sector and provide a relaxed moment that privileges the coexistence and the exchange of experiences in the most diverse areas between people and companies. PARTTEAM & OEMKIOSKS INVITES ALL CUSTOMERS, FRIENDS AND PARTNERS TO BE WITH US AT THIS EVENT AND REQUIRE YOUR FREE INVITATION. VISIT US IN THIS SPACE AND COME TO KNOW THE MOST RECENT TECHNOLOGICAL INNOVATIONS DEVELOPED BY PARTTEAM & OEMKIOSKS COMPANY.